HE doesn’t only want to be like Derrick Rose, but all the best point guards in the NBA. Simon Enciso, who once used the Twitter handle of @FilipinoDrose, spent the night before his PBA debut watching online highlights of his favorite players: Portland’s Damian Lillard, Cleveland’s Kyrie Iring, and reigning MVP Steph Curry of Golden State, as well as those of Chicago’s Rose. 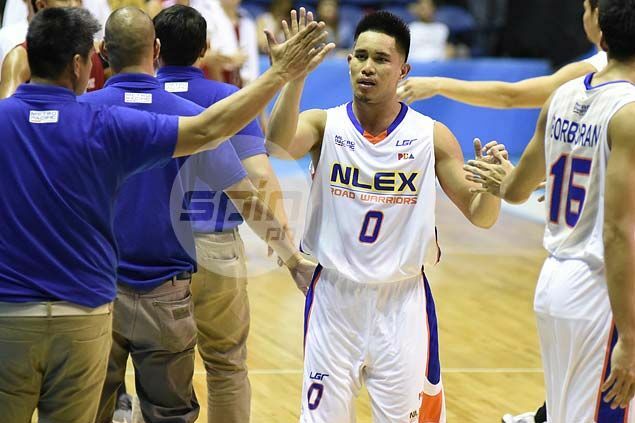 The rookie playmaker seemed to mirror his idols’ long-range shooting as he was on fire for NLEX in its 90-86 win over Blackwater on Friday in the Philippine Cup. The Filipino-American guard ended up with 15 points, built around five three-pointers, on top of three assists, and three boards in 28 minutes. Known as an explosive scoring point guard in the D-League, Enciso started as a shooter in the pros. “I just feel blessed and thank God that I’m here today,” added Enciso, who Rain or Shine picked with the 17th overall selection, before trading him to the Road Warriors. Now, Enciso, who also listened to rap music by Tupac and Drake to pump himself up before the game, just wants to continue his rituals. More than his offense, Road Warriors coach Boyet Fernandez praised his ward's defense. "He really helped us with his defensive intensity and mentality." Despite an impressive debut, Enciso is setting the bar higher.